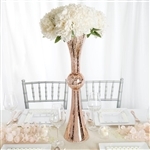 Just like ‘The Eiffel Tower Vases’ symbolizes love, our collection of unique Eiffel Tower Vases are truly an inspiration for all themed-based weddings and glamorous anniversaries parties. Our collection features some gorgeous Eiffel Tower Vases choices for those event hosting professionals that are seeking purely elegant event decorations. Made from heavy-duty materials, these Eiffel Tower Vases consist sleek design, giving a height to the wedding table settings. 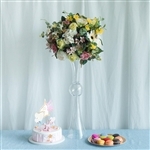 Event managers can place these contemporary Eiffel Tower Vases for special table decorations without occupying much space. From classic black to elegant clear glass, you can find a wide-ranging options in our Eiffel Tower Vases collection. These creative centerpieces are not an afterthought for banquet halls, hotels, restaurants, casinos, wedding halls and much more.